• Size of hot plate : 8 inch diameter. • Temperature range : Ambient to 200 ºC. 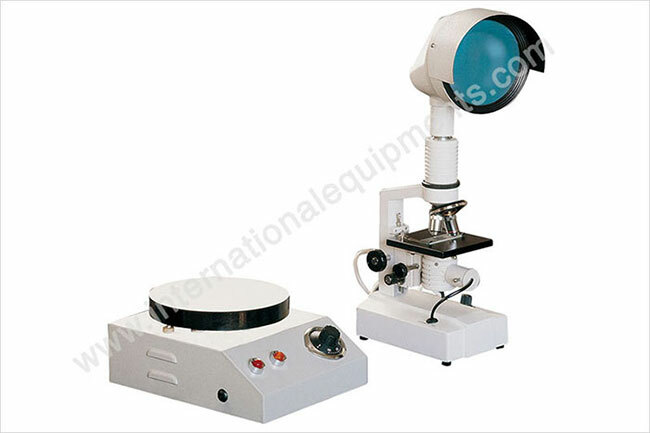 • Size of microscope's Screen : 6 inch diameter. • Magnification : 100X, 450X.